Syston Data Recovery Free is the best free data recovery software to solve all data loss problems - recover lost files from hard drive, external hard drive, USB drive, Memory card, digital camera, mobile phone, music player and other storage media due to deleting, formatting, software crash, hard drive damage, virus attacking, partition loss or other unknown reasons. Only three steps and a few clicks to get whatever you lost back! Deleted, Formatted, Inaccessible, Partition Lost? Get All Your Lost Data Back Now! Syston Data Recovery Professional, completely safe and effective hard drive data recovery software, provides reliable data recovery solution to save all kinds of data loss scenarios. It enables you to recover unlimited types of files from PC/laptop, hard drive, lost or raw partition, USB drive, memory card, digital camera, music player or other storage devices due to deleting, formatting, partition loss, partition inaccessibility, virus attack or other unknown reasons. Just need 3 simple steps to retrieve all your lost data. After the program starts, it will automatically perform ‘quick scan’ to quickly scan your hard drive, lost hard drive or storage device to find the lost files in just 1 minute. You can conveniently preview and locate the files you need. If you don’t find the lost files you need, you can opt to click ‘deep scan’ to check your hard drive or storage sector by sector and find all the lost or hidden files. Quickly scan finds deleted files and lost files emptied from Recycle Bin. The reliable hard drive data recovery software allows you to not only recover lost data from PC, laptop or hard drive, bust also recovers lost data from USB drive, SD card, digital device or other storage media. 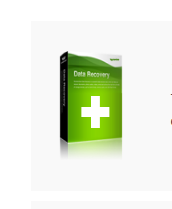 Syston Data Recovery Free is easy to use and it will require no previous experience. Although this package is primarily designed to be used with personal computers, other devices are supported. These include external hard drives, USB flash sticks, mobile phones and digital cameras. There are only three steps necessary to recover lost data. The program is launched, the device is scanned and a detailed list of results is published. The user can then choose which files he or she wishes to recover. 100% safe, it will never cause any damage to your device or overwrite your data. There are two scanning options available. A quick scan is intended when files may have been accidentally deleted. A 'deep' scan is necessary when data may have been lost or is otherwise unable to be accessed. The majority of the searches provided by Syston Data Recovery Free will take only a few minutes to complete. 2 Responses to "Syston Data Recovery Free Download for Windows"